Project Perfect Mod :: View topic - Grand Campaign Competition II Map Pack !! Grand Campaign Competition II Map Pack !! Posted: Sun Jan 19, 2014 9:14 am Post subject: Grand Campaign Competition II Map Pack !! Subject description: Three top-notch SP maps! Here's the map pack from the Grand Campaign Competition II. These maps have been made, and then remade based on the feedback they received, resulting in a top-notch map singleplayer map pack for your enjoyment! Exact ratings are included with each map, though it's strongly encouraged to play the map FIRST, as the ratings may contain spoilers! Assault a highly secure Cabal facility. Full of surprises, and challenges! Find a way to stop the trains! Use your time wisely, Commander. Stop the Allies from testing their latest tank development, using limited resources. Honorable Mention goes to HuskerSix, who began a SP map but was unable to finish in time. PRIZES STILL HAVE TO BE DECIDED BY THE CONTESTANTS! [tiberianfuture] got a custom rank! Contestants can talk about which prizes you want, if you want to come to a consensus. Just say "FINAL ANSWER" in your post or PM, and when all games are decided I'll PM you the keycode code/instructions to install. It's been quite a fine competition, thanks to everyone who participated and showed support! Very nice missions, my favorite was Nightmare in Silver. In Nightmare in Silver there was a small mistake where reapers would keep spawning at the main base even though the war factories were destroyed. Things like editing in the silver tiberium and laser tanks were nice touches, I loved them. In Defragment everything went well untill I had to attack the defenses, I understand that you used to have a higher tech level? I just can't get through the defenses in time because the EMP just lasts so short. Maybe it's just me though, I'll give it another go later. Haven't got around to YR yet. Excellent, except for the choice of posting a RA2 map here in this specific forum. You should have made one topic per map and one main topic at the PPM Discussion Zone linking the maps, posting the scores and doing the poll instead. 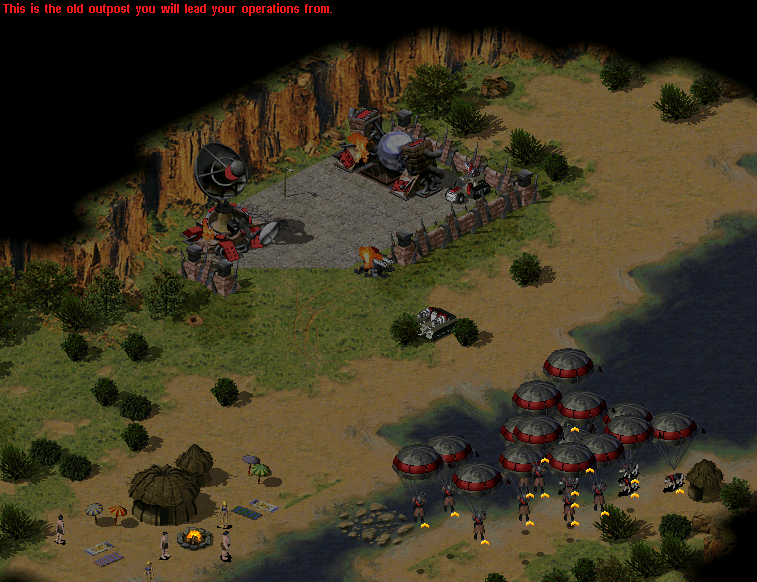 Played TiberianFuture's map (with my mod) and must say the map is very impressive and without doubt better than any WW mission. I liked pretty much everything about it. Getting the GHOST through the gate is well I had to cheat xD The event that killed my CV that one got me didn't expect that. The only real downside of the mission and I think its a pretty big one is that the attack teams are very lame. Once you get to set up a base I was only attack by that one team which kept coming forever. So the entire base vs base part of the mission wasn't what it could be. Its just these 2 unfair attacks and you blasting his base. Its very satisfying blasting his base however, especially after the nerve wrecking first part of the mission. Some more attack teams after building certain buildings would really help I think. Like when you build a helipad you get attacked big or when you build defences or facilities or a tech center and so on. Now it could be that my mod broke the teams but its unlikely. Anyway if the AI has more attack teams than the 3 & 3 then nevermind. oops, I didn't even notice that! lol. TS Mapping forum is so second-nature to me. I don't think there was really a cut-and-dry way to post the results & map pack, but I think this still serves the purpose well enough. I've got RL stuff on my plate, so I'm not planning to do any more major changes or posts regarding the GCCII. If the authors want to further update & release their maps, I'd definitely encourage them to do that on their own. It's been a great competition, and we've got 3 terrific new maps for the community! I might just do that! lol.